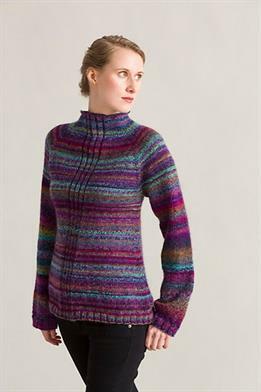 Taken from Warm Woolies: "Top down A-line raglan pullover with center rib detail on the back and front." 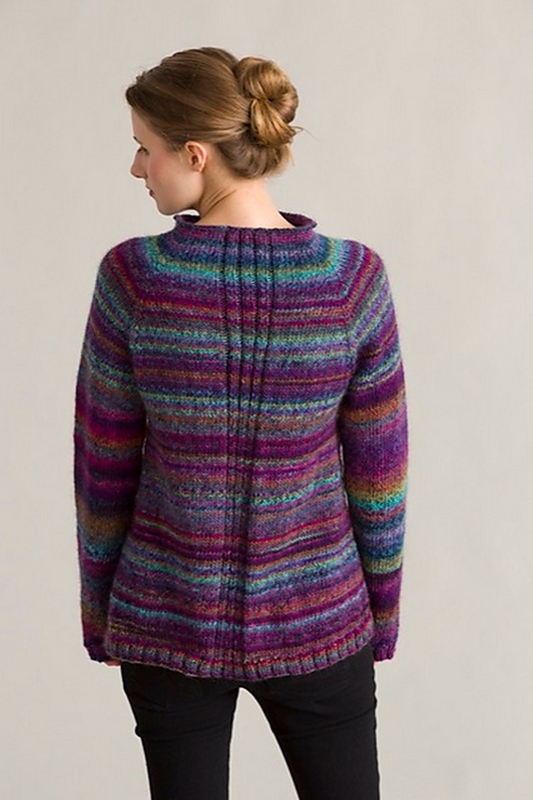 This pattern is from "Warm Woolies" by Classic Elite Yarns. Needles required but not included: Circular knitting needles (16" and 32") and double pointed needles (dpn) in size US 7 (4.5 mm). Adjust needle size if necessary to obtain the correct gauge. Notions required but not included: removable stitch markers , stitch markers, (one in a different color for BOR), waste yarn to hold sleeve sts, and a yarn needle are required but not included. Finished Measurements: Bust - 32.5 (36, 39.5, 43, 48.5)" Length - 23.75 (24.25, 24.75, 25.25, 26.75)" from base of neck to lower edge, after blocking. Gauge: 18 sts and 24 rnds = 4" in St st, blocked. Color Shown is 2832 King Arthur.